While DC seems to steer their ship rudderless, producing several JOKER movies at once and “releasing” “bystander” footage of the Joaquin Phoenix one to hype it up. Though, they may have done something right by giving GUARDIANS OF THE GALAXY 3’s ex director James Gunn a job directing SUICIDE SQUAD 2. It seems as though they’re reaching deeper down, and maybe finding something they can be good at. SHAZAM is looking to be pretty good! Perhaps DC decided it was time to move into a new direction by having a bit of humor instead of being dark, brooding, and… too much. What I’m talking about today is that they have recently announced that they are working on both a PLASTIC MAN flick, along with a BLUE BEETLE movie! DC has found success in a lot of their animated projects, such as JUSTICE LEAGUE ACTION. Perhaps that inspired DC to push forward a Plastic Man movie. In that animated series, Dana Snyder, who perhaps is most well known for his voice work as Master Shake in AQUA TEEN HUNGER FORCE, very appropriately voices Plastic Man. There was a PLASTIC MAN cartoon series back in 1979 to 1981. This is probably my favorite gif of Plastic Man, though it’s totally not okay by today’s standards, but his stretchy lips make me laugh. 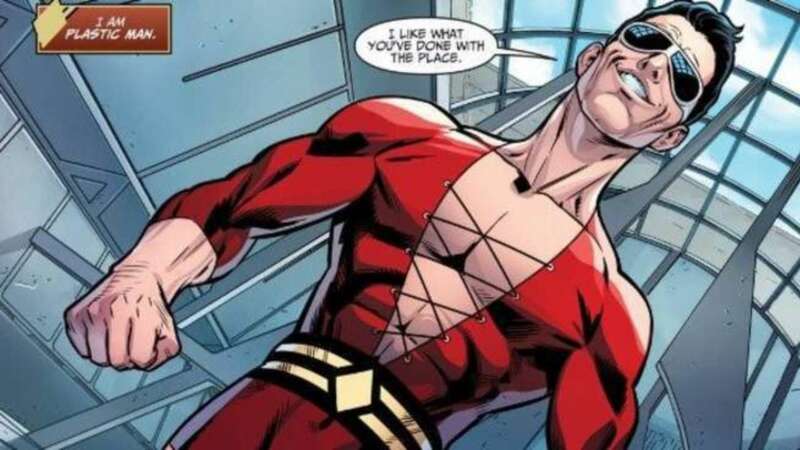 This new PLASTIC MAN movie is to be in live-action, though. Hollywood Reporter says Amanda Idoko, an up and coming screenwriter is penning the script, and Bob Shaye is executive producing. 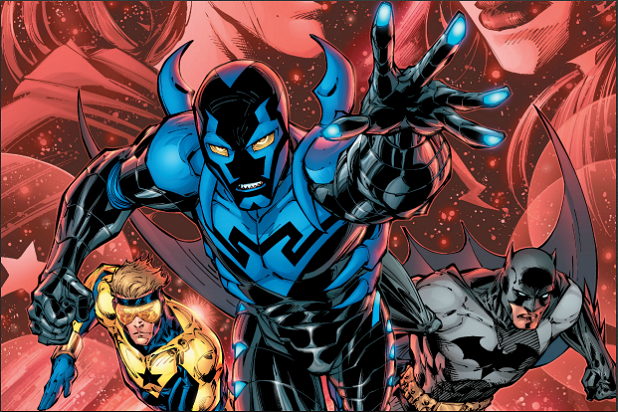 There is also an upcoming BLUE BEETLE film, where DC will be pushing forward some modern inclusion perhaps? It will be their first Latino hero movie. Honestly I’m surprised that no one else has tapped this market yet that I know of in the US.Gareth Dunnet-Alcocer, who wrote SCARFACE has been tapped to write the script for BLUE BEETLE. I guess this one is gonna be super serious. Warner Bros has Zev Foreman is executive producing. The Wrap had the BLUE BEETLE story first.